If you're looking to leave the rat race behind in exchange for a slow-paced and enjoyable atmosphere, Bon Port is the place for you. 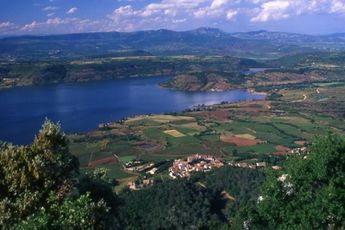 During your stay in this campsite in Lunel (Hérault), the quietness and scenic sights of countryside holidays await you. What's more, high quality services will make your quiet stay even more relaxing. The onsite pool area will allow the whole family to be plunged into a relaxed, refreshed, and fun atmosphere. The park has several pools, including a spa area and paddling pool equipped with water games for children to enjoy. The different water slides will also give older members of the family a thrill. Still within this atmosphere, enjoy events at the campsite as a family, such as aqua-gym, sporting tournaments, etc. Younger children (aged between 6 and 12 years old) are also taken care of by the campsite's team who provide them with all sorts of activities for them, both to entertain them and to develop their creativity. Hands-on activities, a variety of outdoor games and treasure hunts are on the schedule amongst other things. Within the campsite other facilities are available for you to spend a fun and sporty holiday. In this spirit, enjoy the sports ground, boules ground and ping-pong tables. In the evening, other events are organised by the campsite's team to add to the enjoyment of your holiday, including karaoke nights, bingo... (during peak season). You can also expand your playground beyond the campsite to discover the richness of the surrounding region. Enjoy the golf course which is located near the campsite (13km away) to enjoy a fun activity in a tranquil setting. If water's more your thing, the beach is located nearby (15km away), where diving and other water sports are on offer. 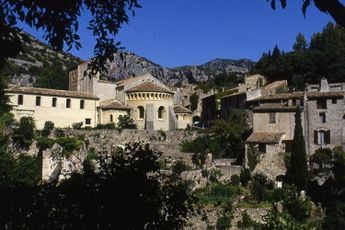 Whilst exploring the surrounding area, you can equally discover Sommières (18km away), the Aigues-Mortes medieval city (18km away) and the Camargue's wild expanses. 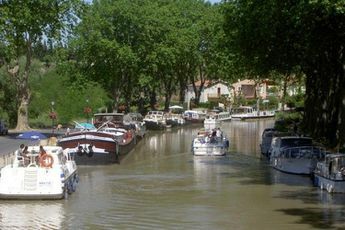 Nearest town Lunel (4 km). Montpellier Méditérranée Airport (26 km). The Camargue is a fabulous region. Known as the land of bulls and horses, you can indulge in activities such as horse riding to discover the Camargue' landscapes on horseback. For lovers of history, the towns of Nîmes and Montpellier and their places of interest can be discovered. A number of monuments can be visited in Montpellier: the Saint Pierre Cathedral, the medieval Mikve, the Arc de Triomphe, Operas and the Convent of the Ursulines. Have a day out in Nimes, you can admire its amphitheater which is the best preserved amphitheater in the Roman world, the square house, the Diane temple and the Tour Magne.